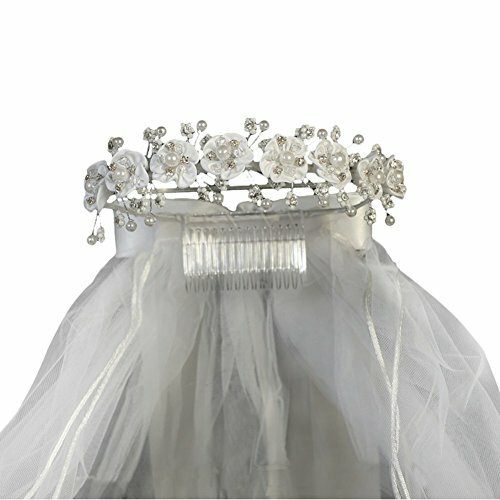 This 24" veil from Lito will add some drama to her special dresses creating an impressive look. Perfect for flower girls or Holly Communion, the white comes with headpiece with satin flowers and rhinestones with satin bows on the back. Featuring a comb to ensure staying put and secure attachment to hair. If you have any questions about this product by Swea Pea & Lilli, contact us by completing and submitting the form below. If you are looking for a specif part number, please include it with your message.